Tom Dowd, AKA Transformation Tom™ is a graduate of the University of Delaware with a Communication degree, concentrating on interpersonal and organizational communication with almost 30 years in the financial management and customer service industry. Tom is a prize-winning speaker, an award-winning and Amazon best-selling author, trainer, and coach—all spurred by his need to be more than a painfully shy and introverted individual on a rollercoaster ride of success. Tom is an active member of Toastmasters International, a group of 350,000+ members worldwide looking to develop communication and leadership skills. Tom joined in 2008 thinking it was just a way to boost his résumé. It became a wonderful downhill spiral of failure. Whether it was a speech contest or a publisher’s rejection, Toastmasters pushed him beyond his comfort zone to find self-awareness, belief that he could make a difference and the motivation to take smarter steps toward success both personally and professionally. What Tom found was a boost in confidence that changed the path of his life and career. In 2015, he was awarded the District 45 (D45) Division Governor of the Year, and in 2010-2011, he was awarded the D45 Outstanding Toastmaster of the Year representing over 100 clubs in Maine, New Hampshire, Vermont and the three easternmost provinces of Canada. He achieved Distinguished Toastmaster (DTM) status in 2015. Now exhibiting consistent speech contest success, Tom is the D45 Speech Evaluation Contest Champion (2015) and three-time Table Topics (Impromptu) D45 winner in 2012, 2013, and 2018. Additionally, he is a member of the National Speakers Association and the Global Speakers Federation. With over 23 years in management and leadership roles at the same organization and a plethora of inconsistency on this professional journey, Tom received the call nobody wanted: “We’re downsizing.” After unexpectedly losing his full-time job, Tom landed in a better place in just 59 days using methods from his coaching and training. He is now a VP at one of the larger financial institutions in North America. 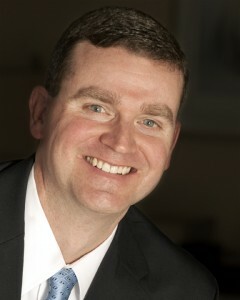 In 2011, he started his own side business “Thomas Dowd Professional Development & Coaching” where he continues to use the lessons learned on his climb up the corporate ladder to help people creatively find ways to differentiate themselves in the workplace and to find their own individual paths toward success. The mantra is “Transform into who you really want to be.” Tom is the award-winning author of three books. “The Transformation of a Doubting Thomas: Growing from a Cynic to a Professional in the Corporate World,” details Tom’s own professional growth based on lessons learned in his career, which received Honorable Mention at the 2012 New England Book Festival. “From Fear to Success: a Practical Public Speaking Guide” won the Gold Medal at the 2013 Axiom Business Book Awards in the Business Reference Category. His third book, derived from the unemployed stint, “Displacement Day: When My Job was Looking for a Job” was published in March 2014 and received Honorable Mention at the 2014 Paris and New York Book Festivals. Tom’s three most recent books “Time Management Manifesto: Expert Strategies to Create an Effective Work/Life Balance,” “The Unofficial Guide to Fatherhood,” and “Now What? The Ultimate Graduation Gift for Professional Success” were released in October 2014, April 2015, and March 2016 respectively. All are available in book and eBook versions, while “Fear” is also available as an audiobook. He previously hosted “Transformation Time with Transformation Tom” live radio program on BlogTalk Radio November 2014-October 2016 (http://www.blogtalkradio.com/transformationtom). Multiple conversations with local Lions Clubs, Rotary Clubs, Kiwanis Clubs, and Toastmasters Districts including Washington D.C., Atlanta, St. Louis, Eastern MA/RI, Eastern Canada/ME/VT/NH.